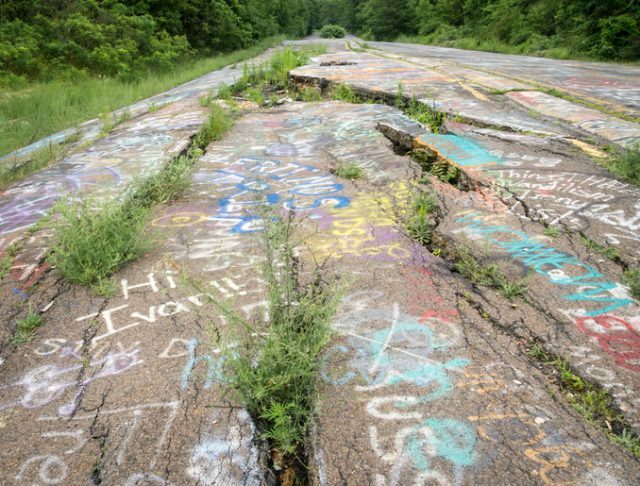 In the state of Pennsylvania, in Columbus County, there is a near-ghost town through which an abandoned highway laced with graffiti runs, and smoke can sometimes be seen rising from the land. To some, it might look like the gateway to hell. But the true reason there is an empty lot in a place where a vibrant town once stood has something to do with the area’s former enterprise ― coal mining. Even though a settlement existed here prior to the 18th century, it was not platted as Centralia until the mid-19th century. The town was kick-started by engineer Alexander Rae, who arrived in 1842 and soon attracted others to join in the coal mining effort. 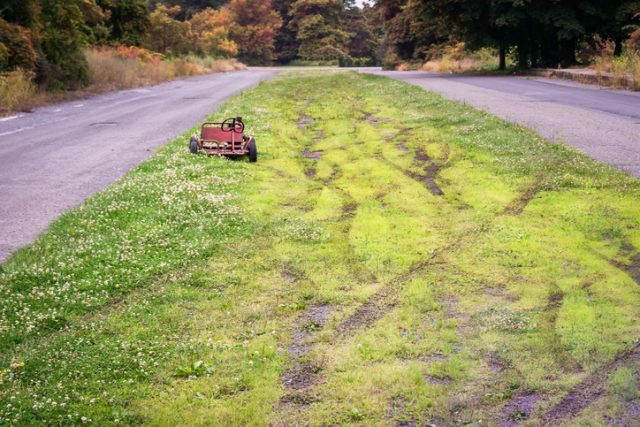 A childs toy go-cart sits abandoned on an empty road in Centralia, Pennsylvania, a poignant reminder of the catastrophe that struck the town in 1962. Pretty soon the town blossomed, its economy centered around the coal production business. The town soon numbered over a thousand inhabitants, including a large population of Irish migrants who formed the core of its workforce. They brought with them came the notorious Irish secret society, the Molly Maguires, who allegedly committed a series of violent attacks. The town’s founder, Alexander Rae, as well as a local priest were murdered. After a crackdown on its leaders in 1877, the Molly Maguires were forced out and their influence dropped significantly. 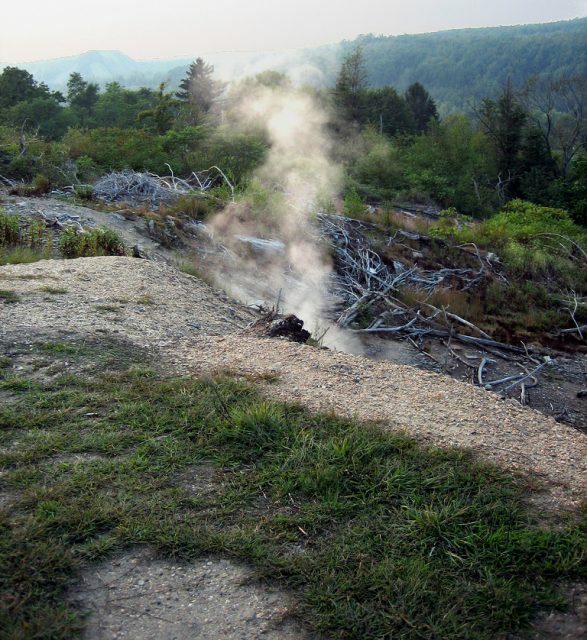 Centralia as seen from South Street, July 2010. By the beginning of the 20th century, Centralia and its coal lifeline were facing the Great Depression, but the town managed to survive this ordeal as well. 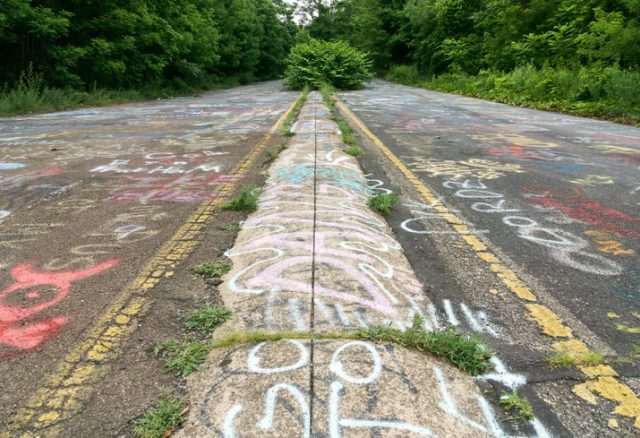 What caused the demise of Centralia was a miscalculated plan to clear up the town landfill site, as happened every year in the run-up to Memorial Day. What seemed like the simplest solution turned out to be fatal for the town. Centralia, USA, July 5, 2015. This image shows the center of the median strip and the yellow lines of PA 61, which is now overgrown and graffiti covered. The city council gave the green light in May 1962 for the trash to be set on fire, the same as happened every year with no problem. 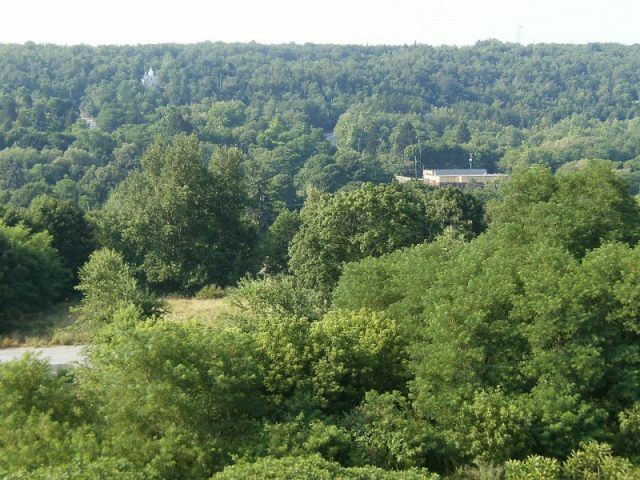 But a new site had been used for landfill that particular year — in an old strip mine. 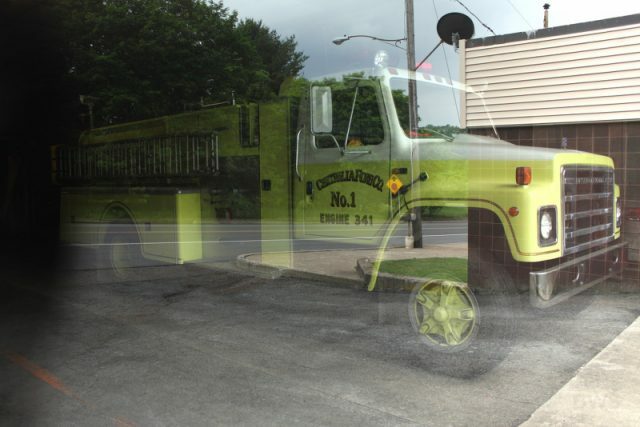 An exposed vein of coal caught light, and this was quickly dealt with by the local fire department. Or so they thought. The fire continued to smolder below ground, slowly spreading through the coal seam. The mine shafts acted as a draw that fed the fire with air. Four days later, new fires were spotted, and put out, close to the landfill. Within a few weeks, the fire was burning all through the maze of mining tunnels underneath the town. 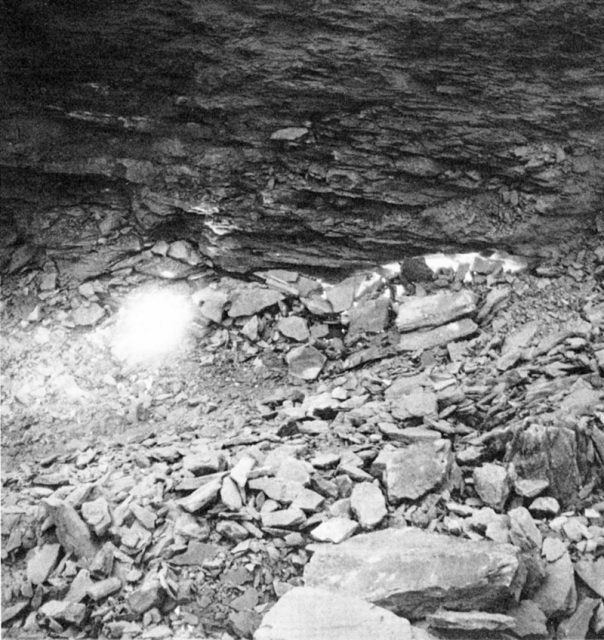 A small part of the Centralia mine fire as it appeared after being exposed during an excavation in 1969. As temperatures rose and carbon monoxide levels skyrocketed within the working mine tunnels, the town was forced to close down its main source of income. Officials who tried to monitor the extent of the fire soon realized their boreholes were only making it worse by providing more ventilation. No-one seemed to realize quite how dangerous the situation might be for at least a decade, even though some residents reported symptoms of carbon monoxide poisoning and complained about the constant smell of burning. All kinds of attempts were made to excavate, extinguish or at least contain the fire, but nothing worked. The sign at the closed section of Route 61. In the 1970s, the local gas station owner reported a worrying temperature of 180 degrees Fahrenheit in his underground gas storage tank. In some places smoke can still be seen rising out of the earth as if the fiery chasms of hell were just beneath the surface. In other spots, the ground looks perfectly normal but might give way beneath your feet because coal has burned away, leaving a void beneath the surface. Residents were becoming aware that the fire started in the 1960s might continue to burn forever. It was the lucky escape of 12-year-old Todd Domboski on February 14, 1981, that prompted authorities to take action. Domboski spotted smoke coming from the ground and, as any curious boy would, went to to take a closer look. A sinkhole opened up underneath him and the boy was able to grab onto a tree root as he hole went from knee-deep to a yawning chasm. Luckily his cousin was nearby and pulled Domboski to safety. The state of Pennsylvania condemned the entire town and relocated its residents. 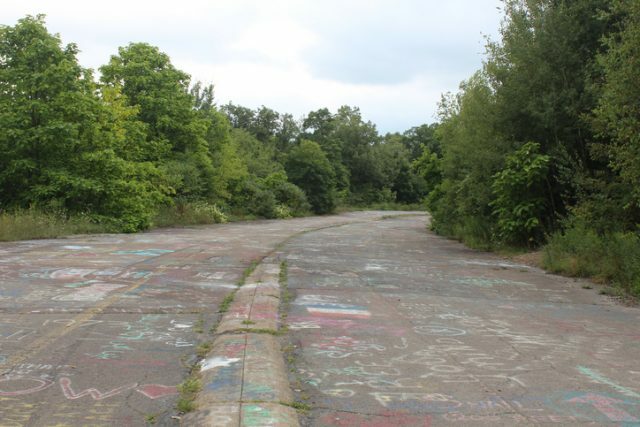 This image shows the extensive damage on PA 61, a closed road that passed through the town of Centralia, which is now overgrown and graffiti covered. Because of the danger posed by mine subsidence, route 61 was diverted around Centralia. The highway section that runs through the old town site is cracked and buckled from the heat of the fire below. By 1992, Congress had decided to cancel Centralia’s zip code. All but seven people moved out. These seven citizens managed to win their case in court and were allowed to stay in the town, but were forbidden to sell their property or pass it down to their relatives. 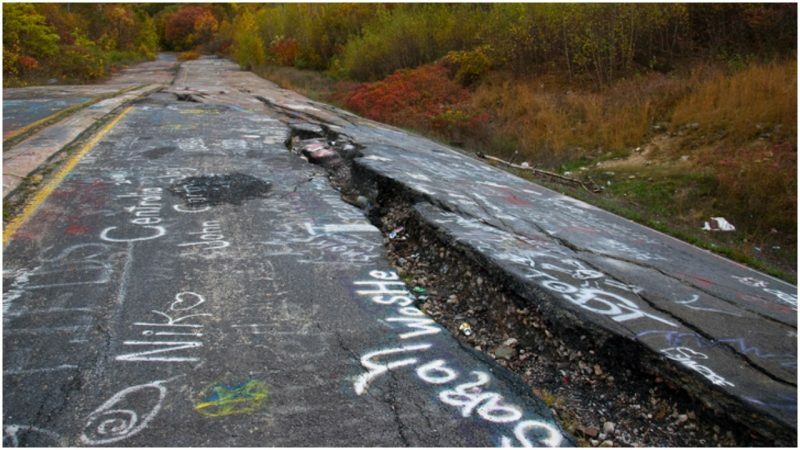 Experts predict that the fire burning beneath the ghost-town of Centralia might continue to do so for the next 250 years if left uncontrolled. 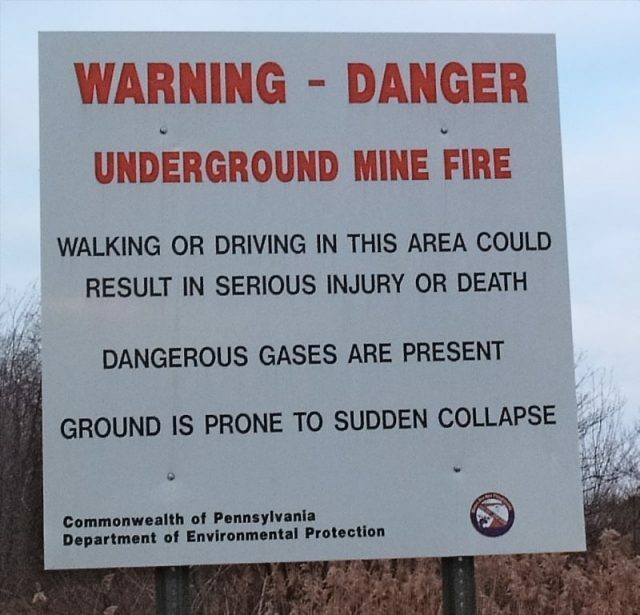 Even though this sounds like an isolated case, in fact, this is only one out of 38 other active mine fires in Pennsylvania.